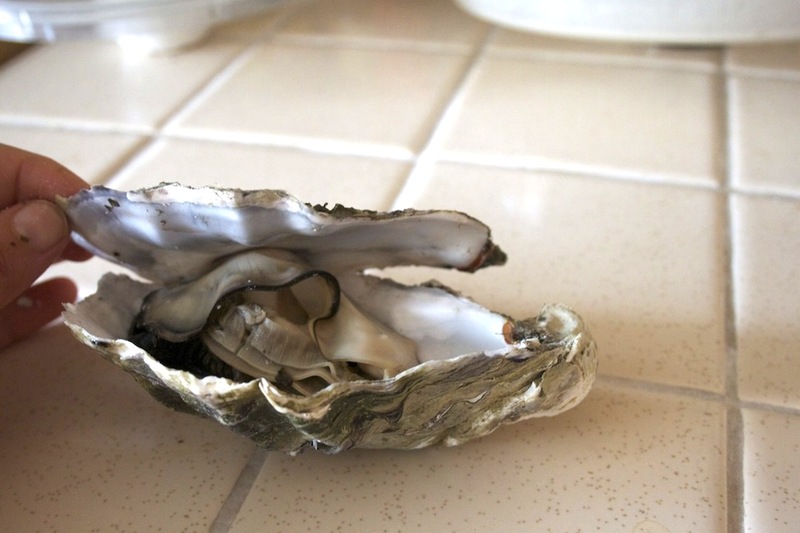 This is a photo of the toughest oyster in the world. It took a lot of chipped shell, and approximately 15 min. of prying to get it to open up. In fact, I almost threw it away, thinking I’d never eat it. When it finally unclenched, it was the most delicate and briny meat inside, ever. Check the photo – isn’t this an amazing creature? Thank you, oyster, for your life. I am like an oyster because ______________________________. Oysters are like relationships because _______________________. Oysters are like love because _____________________________. Beauty is an oyster because ______________________________. PS: Sorry that this is 1 day late. Just as I struggled to open that oyster, I am struggling a little bit with the tasks of my life. Please send me your good vibes.